The most reliable home garage door service contractor in Minnesota! Garage Door Repair Mounds View specializes in electric opener troubleshooting and repairs, roll up door installation and overhead door maintenance. 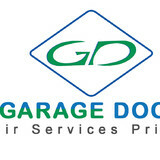 A company everyone can trust in Minnesota for garage door repair services! The efficiency and capacities of the team make Garage Door Repair Blaine the best contractor for all residential services. 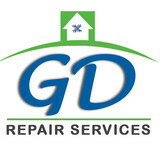 The most spectacular residential repair team in Minnesota for all services! The staff of Garage Door Repair Lino Lakes is proficient, prompt and ready to provide assistance! Top in opener troubleshooting and maintenance! The great team of Garage Door Repair Ham Lake guarantees full and excellent residential services. The company is top in overhead door maintenance and known in Minnesota for the excellent installation of electric operators. The team of Garage Door Repair Shoreview is experienced and offers same day service. 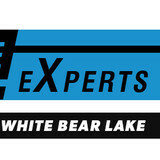 They're the best in Minnesota for the replacement of garage door parts and excel in all services related to operators. Distinguished in Minnesota for its amazing efficiency and devotion, Garage Door Repair Arden Hills guarantees safety! It has fast emergency teams, offers top opener maintenance and excels in overhead door installation. As a known company in Minnesota for the installation of roll up garage doors and opener troubleshooting, Garage Door Repair Brooklyn Center solves problems fast. It's an emergency contractor that responds very fast. For top services in Minnesota, Garage Door Repair Anoka is the best choice! It's reliable, well-equipped and proficient! It offers top garage door maintenance and replacement and excels in all opener services. Garage doors and gates are valuable assets to a Blaine, MN home’s curb appeal, security system and storage needs, so when they need to be repaired, it’s always smart to hire a local garage door repair professional. A Blaine, MN garage door maintenance pro can fix a wide range of components, including exterior damage, parts, openers and weather sealing. What types of garage door service tasks do contractors in Blaine, MN provide? A damaged garage door can lead to increased security risk, ruined belongings and an unpleasant exterior, so look for Blaine, MN repair professionals who provide same-day or emergency services if the damage is extensive and poses a potential health and safety risk. 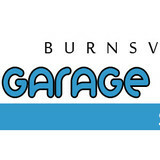 Find Blaine, MN garage door repair professionals on Houzz. Narrow your search for garage door repair professionals by selecting the nearest city or zip code. Look at portfolio and product photos, and read reviews to find the best garage door contractors in Blaine, MN for your home.